I’m really loving this colour combination, what do you guys think? I started by painting my middle finger with two coats of Beyond the Nail – Holy Grail and the rest of my fingers with Beyond the Nail – Cherry Wine. When everything was dry, I placed a Star Shield Nail Guide on my ring finger and painted over it with a generous coat of Holy Grail and immediately removed the guide. 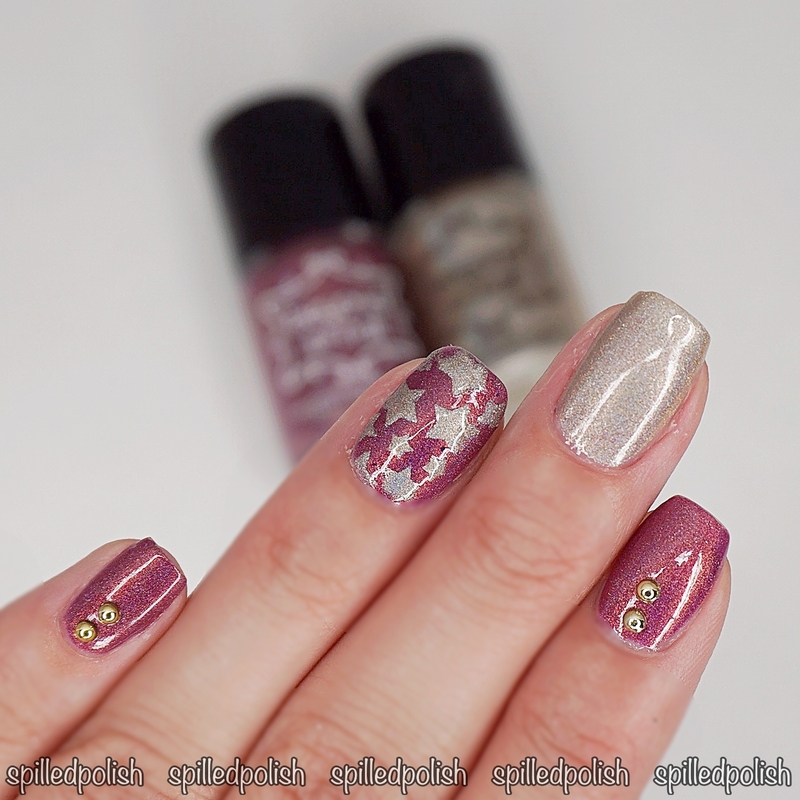 I added one coat of PRO-FX – Quick Dry Topcoat to every nail and added some Gold Half Round Studs to my index and pinky fingers. 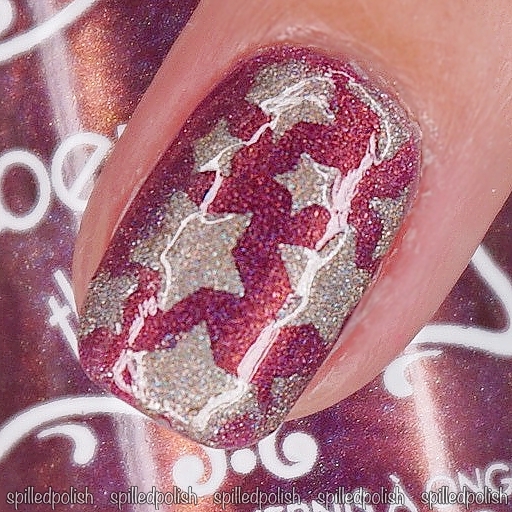 Taken with flash to see the HOLO!